Before getting engaged, most people aren’t familiar with the different products and services that are available for weddings, and wedding ceremonies in particular. It’s perfectly understandable – there isn’t much of a need to know everything about planning a wedding until you need to plan a wedding for yourself or help someone close to you with their planning. For wedding ceremonies, there are a number of services and traditions that can be overlooked or misunderstood by the general publc, but are important to know for couples planning their marriage ceremony. When planning a wedding ceremony, it’s important to get the guidance from an experienced profession wedding officiant to help you design, write, and perform the right ceremony for you. There are so many factors to consider in creating a wedding ceremony script – selecting from the different types of wedding ceremonies, determining the proper wedding ceremony order, selecting wedding readings that match the rest of your ceremony, writing wedding vows that are meaningful to you and your soon-to-be-spouse, and much more. With so many options available and so many decisions to make, having an experienced professional to guide you through the process can save time, money, and ensure the success of your special occasion. To understand everything a wedding officiant does, it’s important first to understand what wedding officiants are and what they are not. 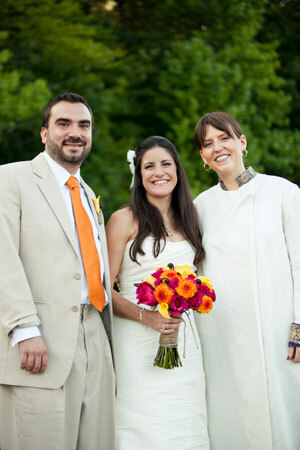 By definition, a Wedding Officiant is any person who performs the role of officiating a legal marriage ceremony. This is obviously a broad definition which encompasses many different types of people, from friends or family members of an engaged couple who perform one ceremony and never do so again, to professional wedding officiants who perform dozens of wedding ceremonies each year. Because of the breadth of this definition, there are an estimated 400,000 wedding officiants in the United States alone, with thousands more joining their ranks each year. As such, it’s important to understand the nuances and differences between different types of wedding officiants, as well as the duties of being a wedding officiant. It’s crucial to note the distinction that a wedding officiant is someone who performs a legal marriage ceremony. Anyone who performs wedding ceremonies which are not legal marriages, or without being legally recognized by the local governmental authority, are not considered wedding officiants. In fact, in many jurisdictions, performing wedding ceremonies “for show” or performing legal marriages without goverment authorization is illegal and can come with the possibility of a prison sentence. Since wedding officiants are party to a legally-binding agreement between the couple and the local or state government, some jurisdictions have stringent requirements for who is permitted to perform a legal wedding ceremony. 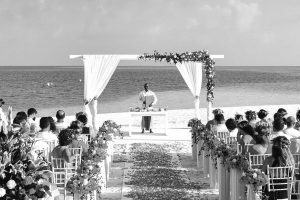 While the legal requirements for wedding officiants vary by location, only those persons who perform a legalwedding ceremony can be considered a wedding officiant. Because so many different people fit the definition of a wedding officiant, not all of them refer to themselves using the title wedding officiant. While this term is common, wedding officiants can have many other titles – ministers, celebrants, judges, court clerks, and justices of the peace, just to name a few – are all technically considered wedding officiants by virtue of performing legal marrages, but they have significant differences between them. Each of these different positions are quite different, but they typically fall into one of two main categories of wedding officiants: Religious Officiants and Civil Officiants. A Religious Officiant is a person who as been given the authority to perform the rite of marrige through a religious organization, such as a church, ministry, or synagogue. This authorization is typically referred to as the process of ordination, with the person becoming an ordained member of the church’s clergy. Titles for clergy vary depending on the church or religious organization responsible for the ordination – bishops, priests, pastors, ministers, deacons, reverends, rabbis, and cantors are all examples of titles for clergy who may also perform the duties of a religious officiant. Religious officiants have long been recognized by state and local governments as having the authority to perform legal marriage ceremonies, and the marriage laws in most areas were written with religious officiants in mind. In jurisdictions where the requirements for obtaining legal authorization to perform marriages are high, it is often much easier for ordained religious officiants to get authorization than secular officiants or civil celebrants. This is most common in more conservative states within the United States, where state and local laws are more likely to encourage couples to be married by a religious officiant, and in some states it can be very difficult for anyone other than ordained religious officiants to obtain authorization. As opposed to a religious officiant, who is ordained and authorized to perform marriages by a religious organization, a Civil Officiant is someone who is legally authorized to perform legal marriages by a state or local government without the need for a religious affiliation. Most commonly, civil officiants are employed or affiliated with a local circuit court, such as justices, judges, clerks, magistrates, and commissioners. These persons may legally sign a marriage license, sometimes even without the need to perform any type of wedding ceremony at all. Civil officiants can also be persons not affiliated with a court, but legally authorized by the court to perform civil marriage ceremonies. In some areas, someone applying for authorization to perform marriages needs to provide the local court with some type of credentials, such as a letter of support from an ethical society or Humanist association. This is not always the case, however, and in some jurisdictions one only needs submit a form to the court and pay a small fee in order to be authorized. The legal climate for civil officiants differs from state to state and county to county, which makes it extremely important for officiants to be familiar with the laws of any jurisdiction where they perform a marriage ceremony in order to avoid running afoul of the local laws. Now that you understand what a wedding officiant is, perhaps you’re ready to start looking but don’t know how to find a wedding officiant – if that’s the case, you’ve come to the right place! WeddingOfficiants.com is home to the Wedding Officiant Directory, with a large catalog of local wedding officiants across America and around the globe. Click the button below to search for an officiant now!